HOW TO CHOOSE MY WATCH-STRAP? The most important measure to check is the LUG width. The best way is to remove the strap and check width (see picture below). If watch width is 18mm, then go to category "18mm" to choose your watch strap. The buckle width is the second measure for a watch strap. If your watch is 18mm, the buckle is generally 16mm. Such a reference would be 18/16mm. 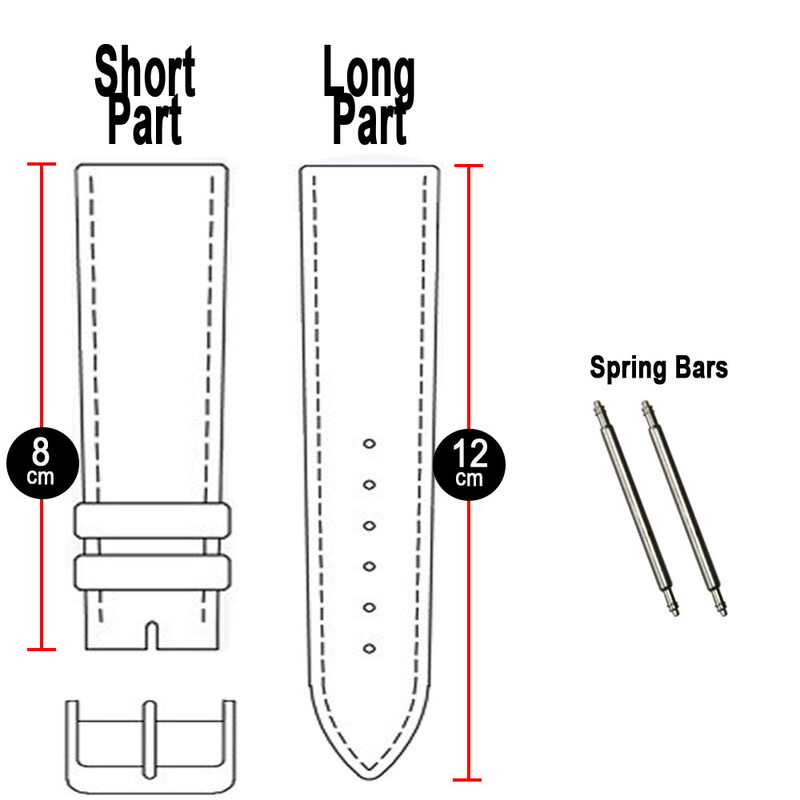 Standard watch-strap length is (L), ie 20cm. The short part is 8cm, and the long part 12cm. Others sizes available upon request: XL (22cm) or Medium (18cm). HOW TO REPLACE A NATO STRAP?